And ofcourse for the holiday, I need to have my nails done before the clock strikes at 12. I just got home from my last minute shopping when I did my nails. 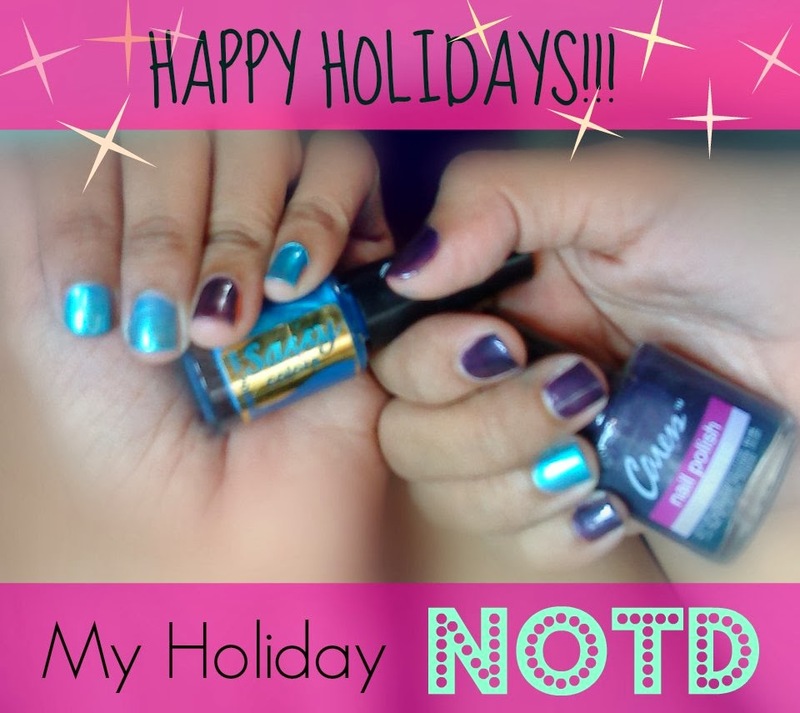 Here is my holiday NOTD! 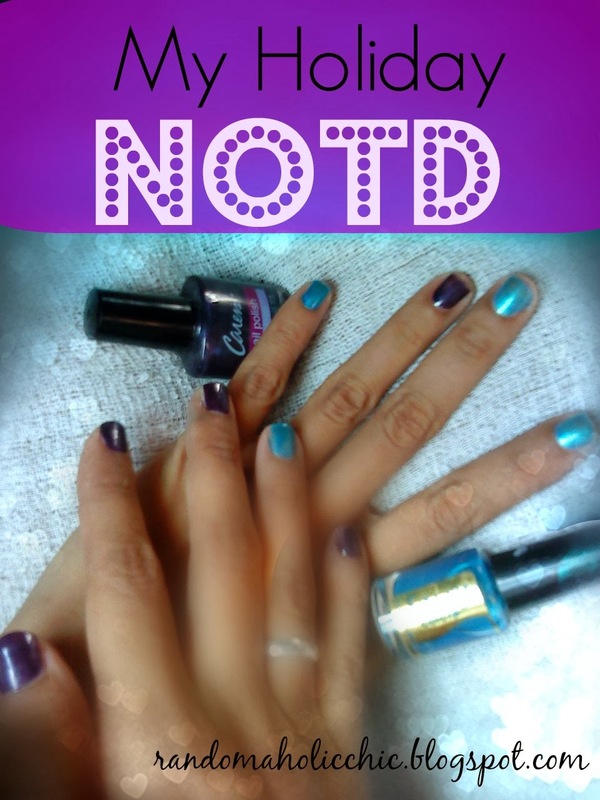 I used Caress Nail Polish Frosted Midnite Purple and Sassy Colors Aqua Marine. I wish you all have a very Merry Christmas! Spread Lots of Love!